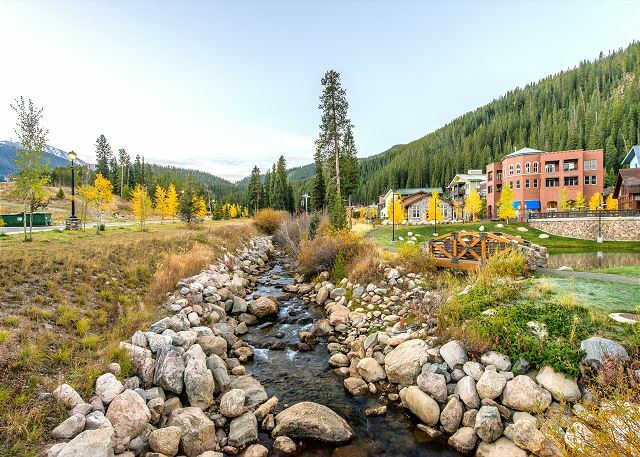 Awesome views overlooking the Winter Park Base await you at this 1 bed/1 bath condo. 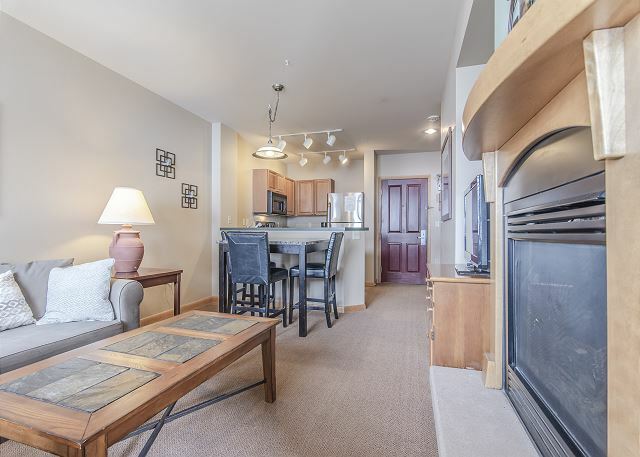 This condo has been recently updated and features a full kitchen with brand new appliances, gas fireplace, and flat screen TV and sleeping accommodations for up to 4 guests. Bedroom has King size bed. 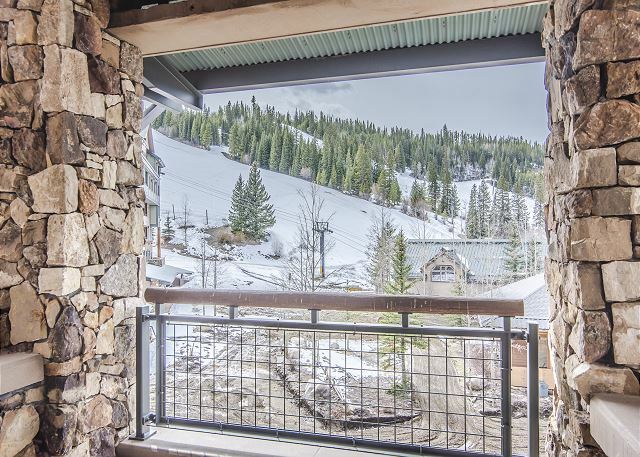 You are sure to enjoy the incredible slope side views from the living room, deck, and bedroom. 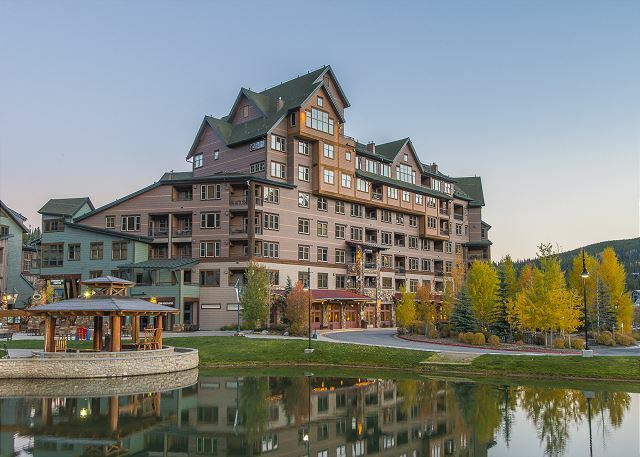 Only steps away from the elevator with easy access to the reception, ski-locker, fitness center, hot tub and last but not least - to the NEW GONDOLA!!! Zephyr Mountain Lodge is about as close as you can sleep to THE GONDOLA without camping outside!! 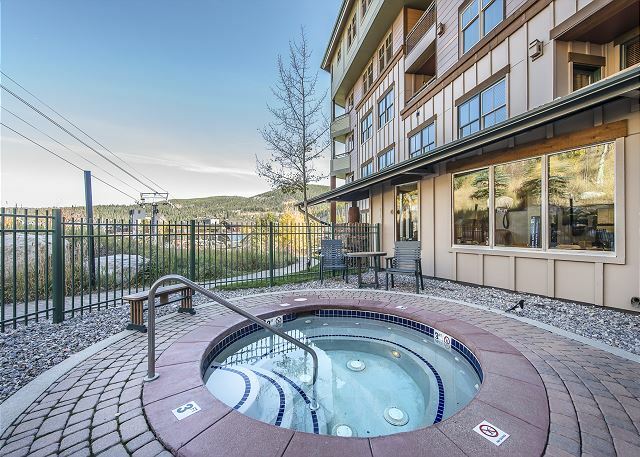 Zephyr has four hot tubs, a fitness room, heated underground parking, onsite ski shops and close proximity to restaurants and shopping. There is also a nearby ice skating ring. 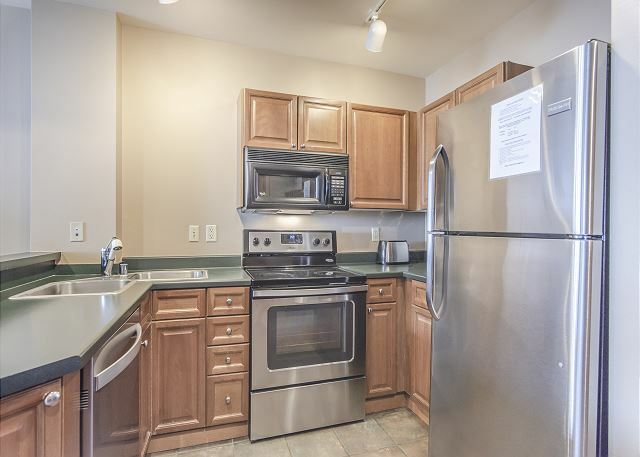 Each condo has a full service kitchen. Washer and Dryers are located on every floor. Condo is located on 3rd floor in Riverside Bldg facing the base area. 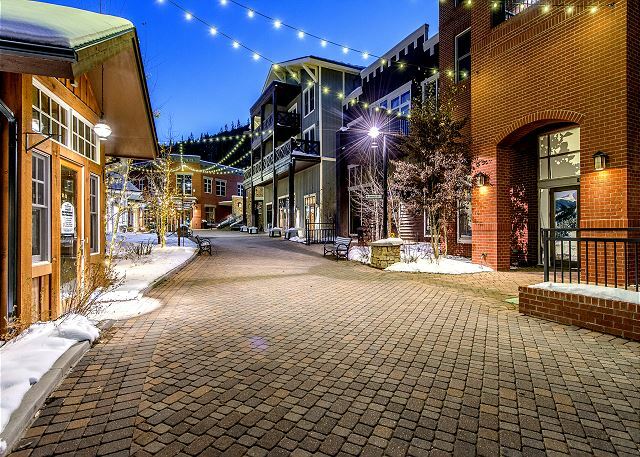 Heated attached underground parking will keep you and your vehicle out of the elements (parking fee during ski-season $16/ per vehicle per day). The condo and the resort were excellent! The parking fee though is a bit steep ( at least a black on a ski slope scale). Thanks for staying with us. Happy to hear that you were happy with the condo. Unfortunately we do not have a say in the parking, but $16 pr vehicle pr day is actually low compared to other ski-resorts. Perfect location, comfy bed and everything we need for a few days skiing! Great view of the slopes. Everything we needed. Just a few steps to the new gondola lift. Definitely would stay again. Thanks for booking with us and also thanks for taking time to write about your stay. Very happy to learn that you found everything perfect and that you enjoyed the views from the condo:) Hope to see you back again soon. Stayed for a couple of nights, nice accommodations, very clean.....perfect for what we needed. Thank you Holli for your feedback! We are glad you had a nice time and we welcome you to come back again any time. Enjoy the rest of your summer. Very nice, clean and comfortable condo! We would definetly rent there again! We were however, disappointed that nothing (no stores or restaurants) in the Village were open. We know it was the off season but expected a few things to be open, especially on the weekend. Great location and wonderful stay!! We stayed here for 4 nights over Presidents weekend and the location can’t get any better. 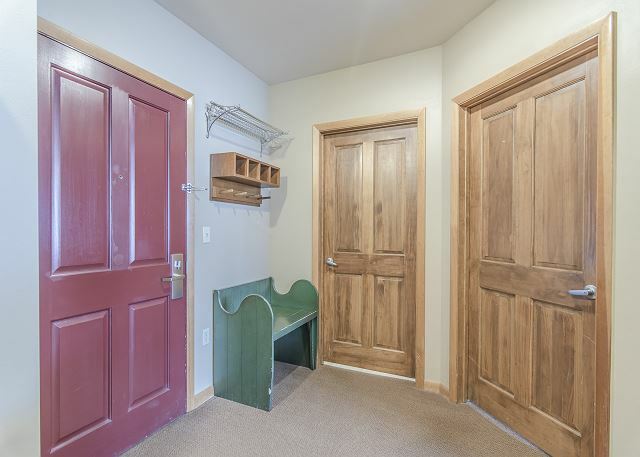 The ski lockers were a nice addition so you didn’t have to bring your equipment upstairs to your room. It was a great spot for coffee in the morning and a beer in the afternoon. The kids loved the hot tubs although we didn’t bring extra towels with us so we had to use our room towels. That would be the only issue that we had during our stay. The unit was well equipped with pots and pans and we made our own meals at night. It was a nice spot to relax after a hard day on the slopes and the Olympics were on so that made the nights a little more enjoyable. Thanks again and we will definitely be back. We are so pleased you enjoyed your stay. Thank you so much for choosing Winter Park Management. It is our number one goal to make sure each one of our guests get top rated service during their stay. We are glad you liked the ski lockers and the simple luxury of keeping everything on one level. Thank you for your feedback and kind words. We hope you come back again soon to visit us. Take care. Wonderful location and great ski trip! Our family of 4 rented this unit the week of Dec 16-21 2017. 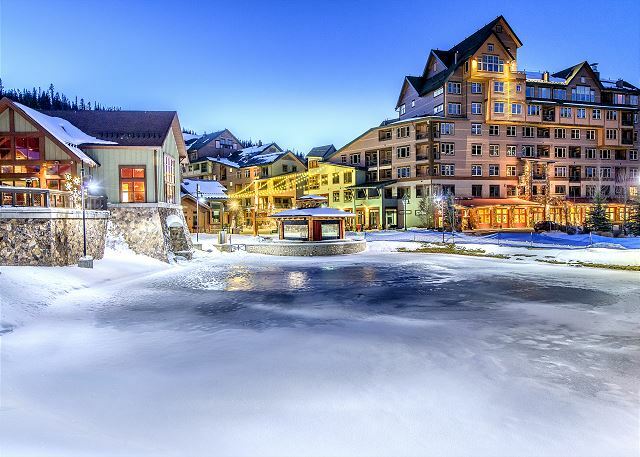 Condo was perfect ski in ski out destination. King bed was comfortable, and the pull out sofa was more like a queen size. Not as comfortable but we placed the extra comforters and had our own blankets to add to the comfort. Bedroom lighting was not great but it was ok. Bathroom was about like a small hotel bath but plenty of hot water for all of us. Overall fantastic place and ski memories that will last a lifetime! We plan to seek this same location if we go to Winter Park again. Appreciate you taking your time to write about your stay. Will see what we can do about improving bedroom lighting. Happy to hear that you and a great time. This was the best decision that we could have made for our Thanksgiving holiday!! The boys loved the fact that they could just walk out of the building and right onto the snow...just a few feet away. There is a locker right on the main floor that they used for their snowboards. The best part about the locker was it is an electronic locker that you put your room key card on and it unlocks!! The parking was great as well...a little tight getting in because of some big pickup trucks. The room was just the right size and everything was great on the inside. If you are a small family of 4 or less...this is the place to stay! We appreciate your feedback and enjoyed reading your positive review. We are glad you made some great memories for your family over the holidays. Fun to know the electronic locker was such a hit! Thank you for visiting us and being respectful guests. We appreciate that you took such great care of the property. We would be very happy to see your family back again any time. Thanks again and Happy Holidays! Happy to hear you had fun! Hope to see you back. We stayed in Winter Park this past weekend for a wedding. While most of our friends were staying at the hotels nearby, we took a gamble and decided to stay here instead. What a great decision! We were steps away from the Zephyr chairlift which we took to get to the wedding, as well as all the shops and restaurants which we checked out during our stay. We were even able to watch the Friday night movie from our balcony. Being from Chicago, we loved waking up to mountain views. Thank you for a great weekend in Winter Park! 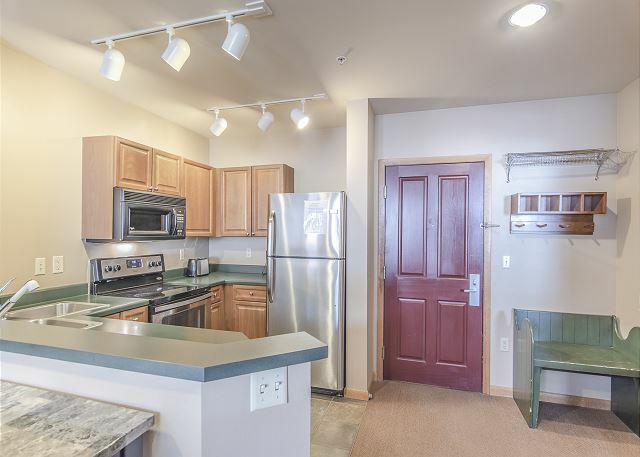 At the base of the Zephyr lift, this condo does have an amazing "Ski In/Ski Out" location. 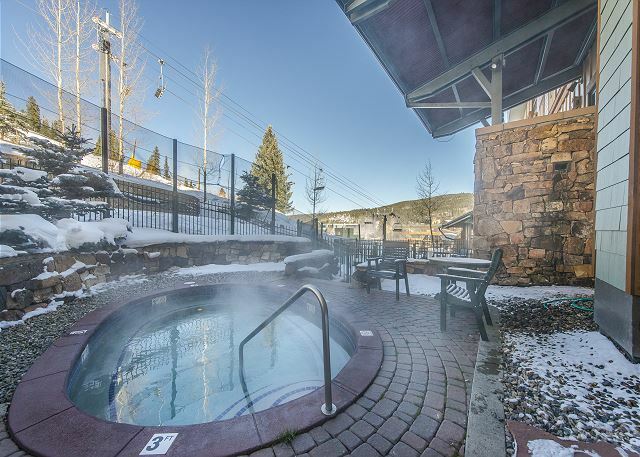 A ski locker, heated underground parking at $14 a day, and hot tubs round out the amenities making for an effort less ski-cation. Yes, This was the end of a long season. And yes, the price was low. About 110.00 per night with 85.00 cleaning fee. We'd have been seriously upset if we'd paid high season prices for the current condition of this condo. It IS an amazing location. It IS a very cute condo. But seriously, 500.00 spent at Ikea would fix it all, including the mattress! 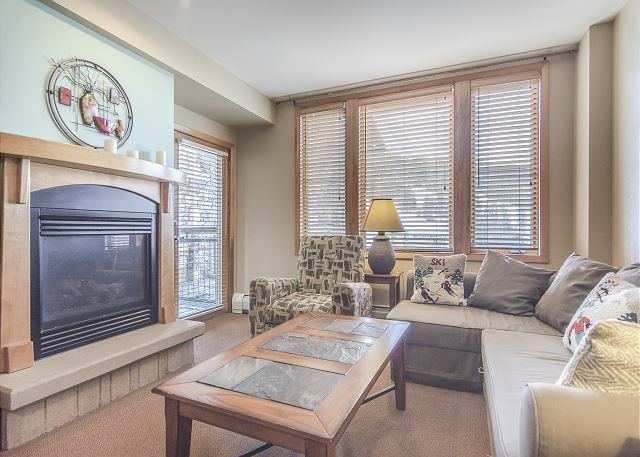 This condo is clearly a cash cow, so hopefully the owners will consider a refresh for summer or next ski season. BTW: I'm a short term rental owner....not just an overly picky diva. Thank you for taking the time to let us know about these issues. We hope you had a great time on the mountain :) We will certainly fix and update what you have pointed out as soon as possible! Thank you! We had a great trip to WP and lucked out on 14 inches of powder one night. The condo was nice and clean. It was a little bit small but the location was great. We loved being able to look out at the lifts and the mountain. You lucked out with one of the best days of the season!!! Thank you for staying with us :) Hope to see you back for all of the summer activities Winter Park has to offer. The rental space looked identical to the pictures. The location was absolutely perfect, and the condo was very clean. Highly recommend this condo! Location is great, private locker for ski equipment was perfect-never had to take stuff to the condo. Place was clean and comfortable but could use a little more updating especially in the bedroom. Kitchen held only the basic utensils so it was a little challenging to cook. Thank you for taking the time to write a review! Let us know if you need anything including kitchen items next time. It should be fully stocked for cooking and we are happy to bring up anything that may be missing if we have it on hand (we usually do). My husband and I can out for a quick birthday getaway. The condo was centrally located, clean, and comfortable. Definitely would rent again! Henry C from fairhope, AL does not recommend this vacation rental. Unit is on 3rd floor. Problem is, if it snows during the day, the snow plow arrives at 3 am under the unit and clangs and bangs the front blade/shovel down onto the pavement and makes a cacauphony of other sleep shattering heavy equipment noises. I would not rent again. Room was great but this is a huge problem. They might consider leaving disposable ear plugs in the room. We are disheartened to hear you were not satisfied with the location of the Zephyr Mountain Lodge. We think it is really great to be able to walk right to the main lift at Winter Park. Unfortunately, at some times when we receive a large amount of snow in Winter Park, the snow plows are forced to move all that snow at less than ideal times. We hope to see you back again soon! Great location, overlooking slopes. Room could have been cleaned better... crumbs under couch pillows. Unsure of bedding for pull-out couch. Glad you enjoyed the view!! There is no excuse, but that was one of our busiest cleaning days, with several back to back rentals. We will certainly talk to the housekeeping staff and make sure it is taken care of. 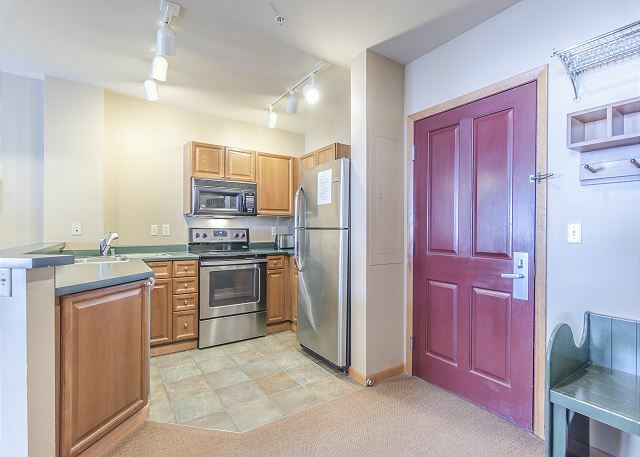 Very nice clean condo, very nice manager of the unit made this all convenient. We liked the view and the covered deck. Great location for Christmas. The view at night is great with the all the lights. 10 seconds to Starbucks in the morning, good kitchen in the unit. Very comfortable for two adults and a kid on the couch. I would definitely stay here again. Everything was as described in this condo. This was a great location and I would stay here again. Location was very convenient and nice to walk to and from the lifts. Once I parked the car, we didn't use it again until we left. Thanks so much for taking your time to write about your stay. Very pleased to read that you had a great Thanksgiving Break and that condo / property (location) worked out just perfect!!! We could not get in with our key when we arrived. We called the contact and they were there in about 15 minutes with a new one. That was the only glitch. We will return. Thanks for taking your time to write about your stay. Sorry that the key card got de-magnatized. Not something we see very often, but sometimes when key card is kept close to a cell phone or other electronic devises, it happens that it gets demagnatized! 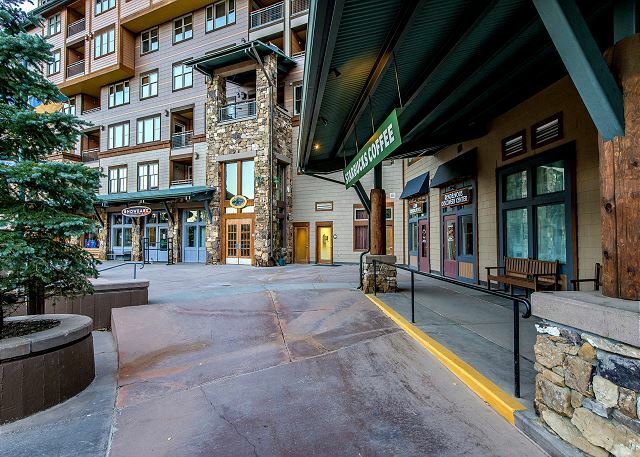 This condo offers good views of the mountain side. Is is a great location to walk to all events in the village. 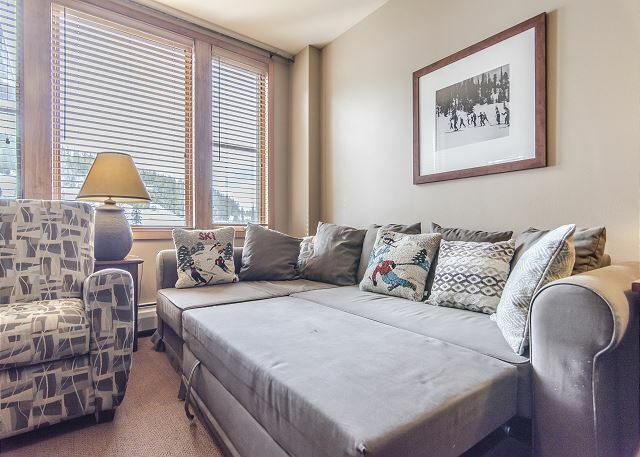 Thanks for taking your time to write about your stay at this nice 1 bedroom at Zephyr Mountain Lodge. Glad to hear that you had a great stay and that you liked the views from the condo. Unit was clean with a great floor plan. Balcony and living room windows look out over the Zephyr Lift. Quiet and comfortable. Highly recommend. Thanks for recommending condo to others and for rating your stay with all top (5 star) rating!! My vacation rental experience was painless from locating the property online up to walking through the door of the condo. The unit was nice and clean just the right size for me and my mother. I do suggest stocking the kitchen with more pots and pans. 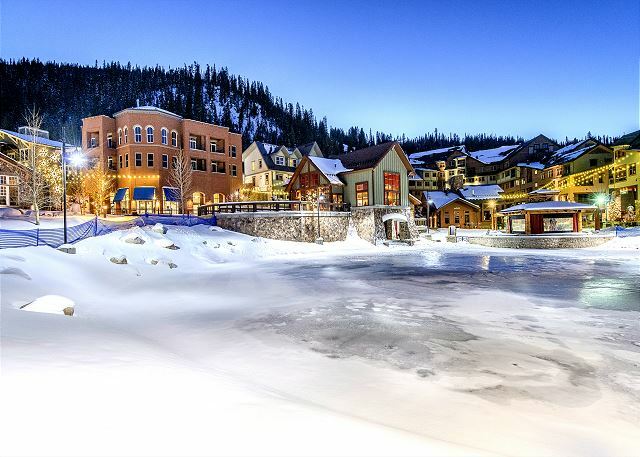 My wife and I spent 3 nights at this condo, ideally situated in Winter Park. The village had several restaurants, live entertainment two of the three nights during our visit, and shopping. If you are in to mountain biking, this is the place. The unit itself was comfortable, although things like the outdoor furniture and all of the wood blinds were in need of a good dusting. We made dinner the first night, but could not locate a can opener. The property manager sent one over the following morning. The passwords to use the TV and wi-fi were a little bit confusing. We had to call Nick to help us figure it out. We opened the windows and the cool summer air was refreshing. I enjoy fly fishing, and I was able to fish Meadow Creek, Fraser River and St. Louis creek during my stay. Restaurants are plentiful in Winter Park itself, and we especially enjoyed Hernando's. We would strongly consider staying at this location(The Village) again. Thanks so much for taking your time to write about your stay. It is nice to read suggestions from guests ...so we can pass along to others on the way. I will look at our instructions in regards to log in to the wi-fi to see if we can "simplify" it more. I will make note to cleaners to address the issue with the blinds and patio furniture! Thanks for pointing it out to me!!! The condo was nice and the management went above and beyond. Stayed in Winter Park for the long memorial weekend. Was bummed that the fun park wasn't open yet but certainly can't blame that on anyone other than the snowy winter! The location is stellar. The unit was clean. Owners were easy to work with. Great ski in ski out. Great location and view of the slopes. Had awesome meals within walking distance. Thanks for taking your time to write about your stay. Glad you liked the condo and the nice views to the slopes. The condo was great! The view was awesome!!!! Enjoyed my coffee looking at the skiers from the room. It was very clean and comfortable for 4. 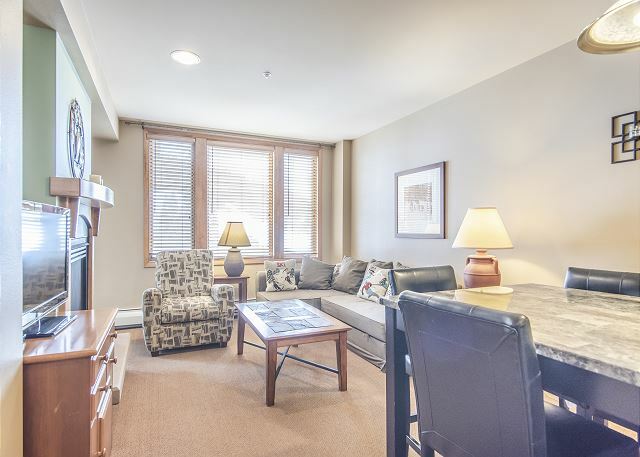 Thanks so much for taking your time to write about your stay at this nice 1 bedroom at Zephyr. We are happy to hear that you had a good time and that you found condo clean and comfortable for all of you!! Great rental with Awesome views! This condo is absolutely perfect! The location can not be any better! The veiw is amazing! We will defiantly be staying here again and reccomending it! The management company is also great! They have a super fast response time! 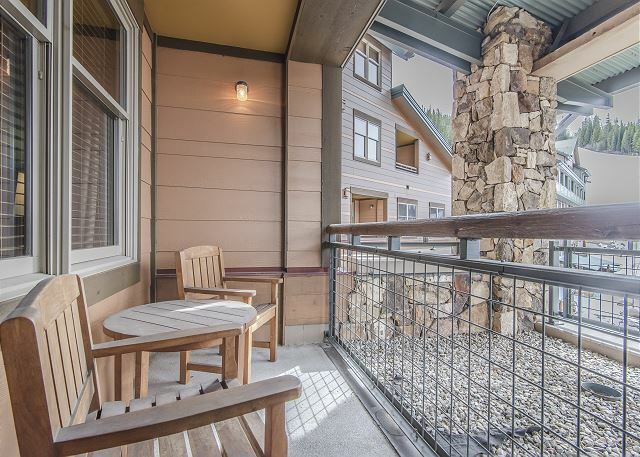 Thanks for taking your time to write about your stay at this nice 1 bedroom @ Zephyr Mountain Lodge. I am very happy to read your positive post. THANK YOU!!! Everything was as described. Thank you! Had a great time. 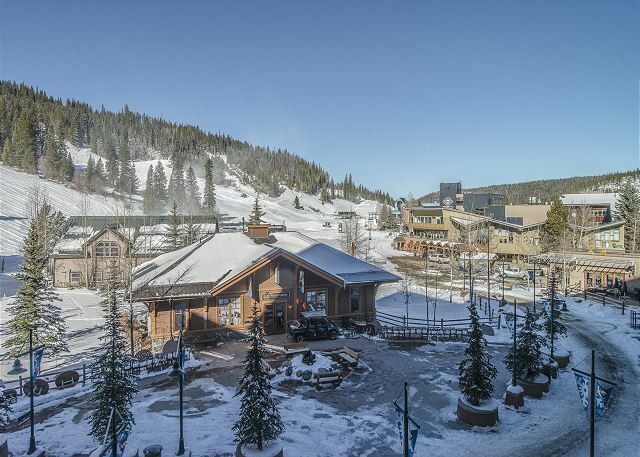 Wonderful to be so close to the slopes and the Winter Park Village. Have been to WP for the last 10 years, first time staying on the slopes. Terrific. Wow what a location! Our family loved the condo. 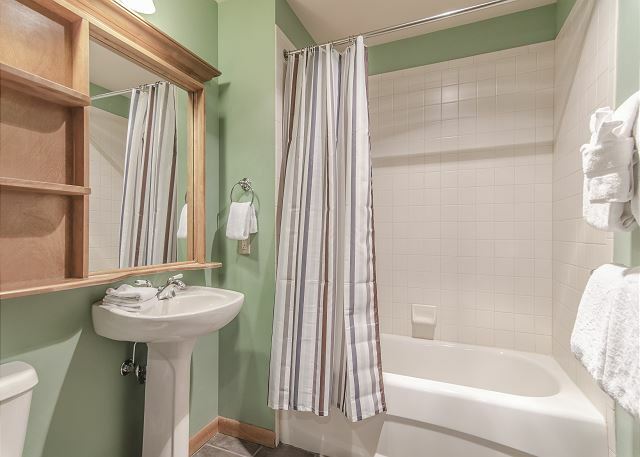 It was clean, had great amenities and right on the slopes. It was a little hard to find but once we were there we were very happy. Love the outdoor hot tubs. Management was very friendly and easy to get a hold of when we needed them. Will definitely be returning! Thanks for taking your time to write a review and for the nice ratings. Glad that you enjoyed the condo, the property w/all amenities and the location!!! Everything was great! Clean room with enough space to sleep 4 adults. Access to the base/slopes couldn't be easier! Overall, a great stay and we will be coming back! Our experience with Winter Park Management LLC has always been very positive. We have rented the same condo at Zephyr for 4 consecutive years. Nick and Charlotte respond very quickly to any request. Great location. Great service. Totally recommend! Thanks for taking your time to write a review and give us good ratings. Happy New Year!!! Location can't be beat, right at base of Zephyr lift. Late ski season rate seemed reasonable. My family was well taken care of by Winter Park Management (thank you Charlotte) and loved staying in 2317. I will look to them next time we go to Winter Park. The location, view, amenities - were perfect! The condo was nicely appointed and had all that we needed for our weekend stay. The management company was responsive and professional. Truly a super experience all around. I recommend this condo and the management company. We had a wonderful time! 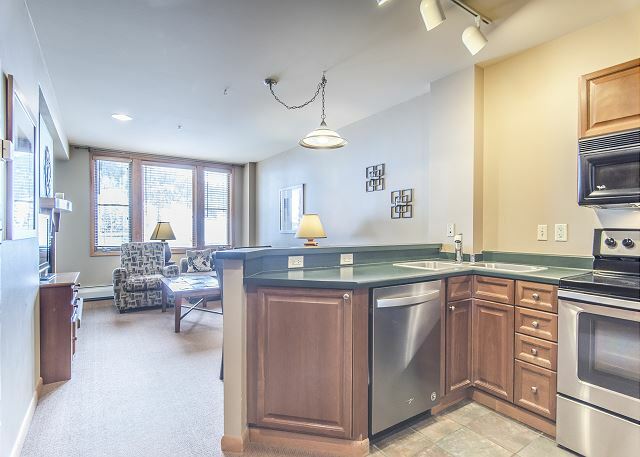 Condo faces the base village and lower ski runs, providing great views from windows, or better yet, patio. Unit is well-appointed with updated furniture and TV. 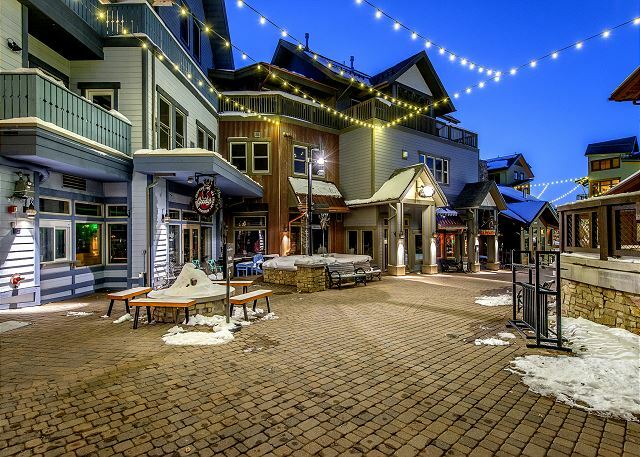 This is our third year in a row renting similar units from Winter Park Management and planning to next year. 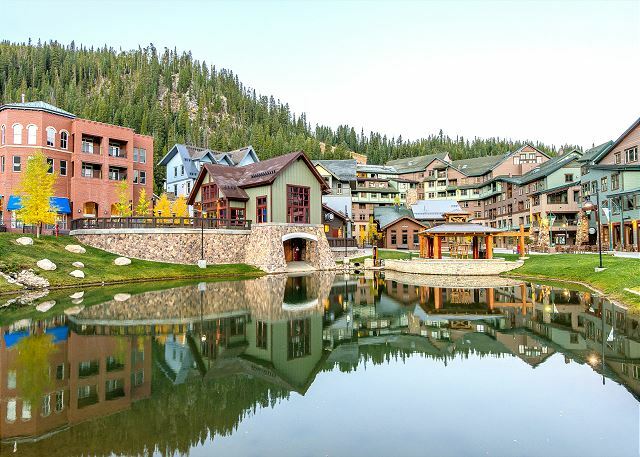 We love Winter Park and staying at the Zephyr Mountain Lodge. We have rented from Winter Park Management LLC for three consecutive years. They are very professional and very quick to address any issues of concern. We were visiting while our son's family was on a skiing spring break. The condo was perfectly located and had everything we needed. The management was very responsive to our questions. They went out of their way to make our stay as trouble free as possible. We will be back! 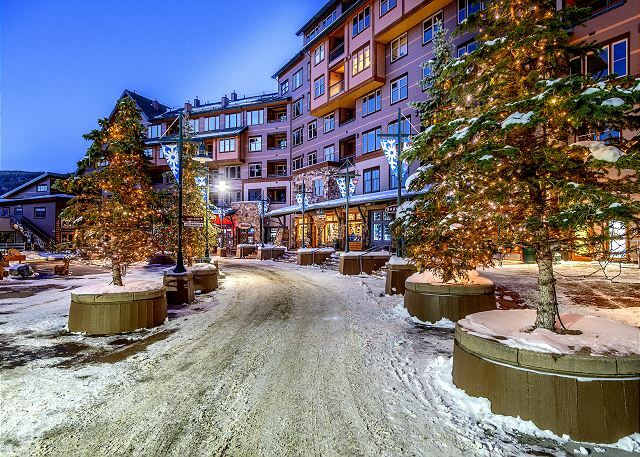 This condo is in a great location- very close to Zephyr Lift, village shops and restaurants. We have stayed in this unit for a month two consecutive years, and it truly becomes our home. It is close to elevators and laundry, and the view from the window reveals all of the activities of the village. Wonderful unit; we always enjoy staying there. Nick and Charlotte are always on top of things; and if there is an issue they have it fixed in a 'heart beat'!! Loved looking over the center of WP village. Only trouble was not knowing where the key to the ski locker was. My daughter and I spent her spring break skiing at Winter Park. It was wonderful even though the temps were unusually warm and no new snow. The condo was just as described. Management was available to answer all our questions and help us get discounted lift tickets. THANK YOU! Watched downhill racing right out out our window. Couldn't ask for better access to the slopes and ski rentals. Would definitely rent again. it was a wonderful experience. the owner was a PRO!!!! We had a great stay at the Zephyr - had a bit of trouble knowing how to get around to start, so an advance map of the area would be great for future guests. Kitchen was well equipped for breakfast in the room and sleeping. Other than that, we didn't spend much time in the room. Clean, convenient and safe for kids. Great stay! Our month long ski vacation could not have been in a better location. We had a fantastic view of all village activity. We could even watch competition events from the condo. 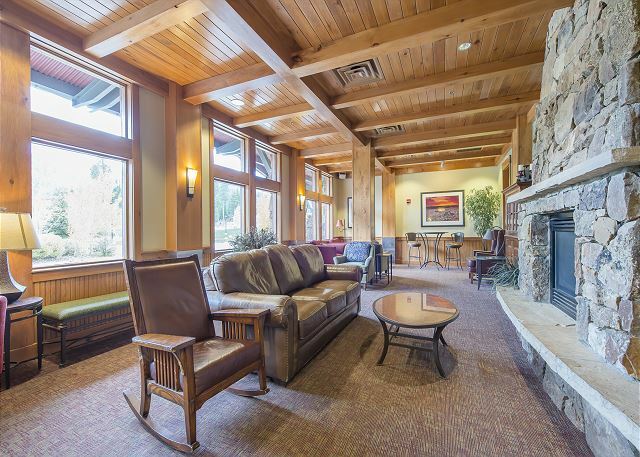 Zephyr lodge is definitely the closest lodging to the lifts! We were very satisfied with our stay. The unit has views of the main lifts, and fire area. 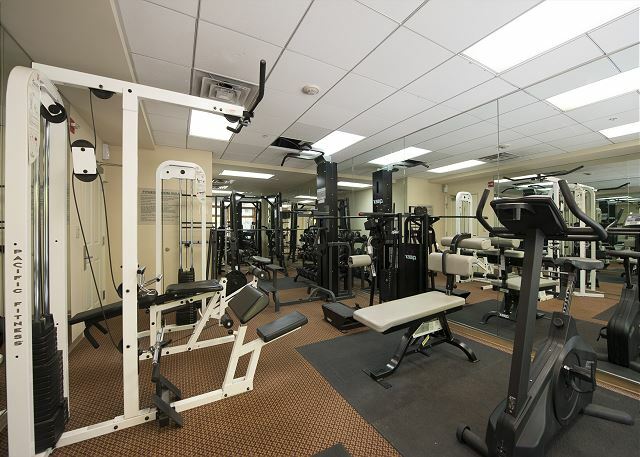 Very convenient access to rentals, starbucks, and various restaurants. Wonderful unit. Charlotte and Nick were great in getting a couple of issues resolved IMMEDIATELY!! 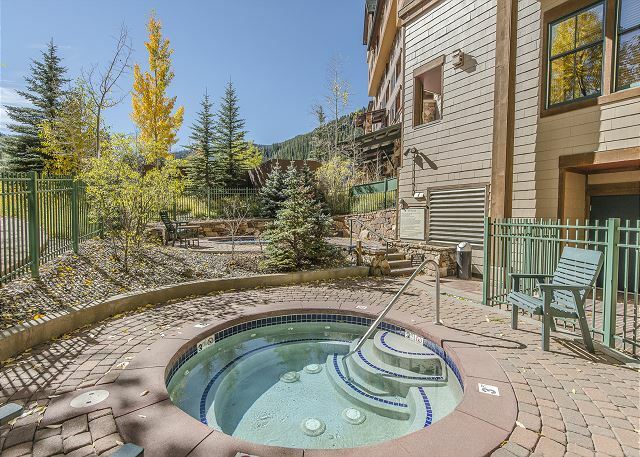 All the amenities you need for a ski in/ski out rental. I hightly recommend it!! Especially considering the reasonable price, my husband and I were very impressed with our rental. Our condo was comfortable and made a great home base, and we loved that we could walk to the restaurants and shops in The Village at Winter Park. Most notable was the fact that our original unit's fridge was not working. When it was unable to be repaired on time, Nick promptly switched us to another unit. He was always extremely friendly and responsive, which my husband and I greatly appreciated. We will definitely look at Winter Mark Management again if we decide to vacation in Colorado. 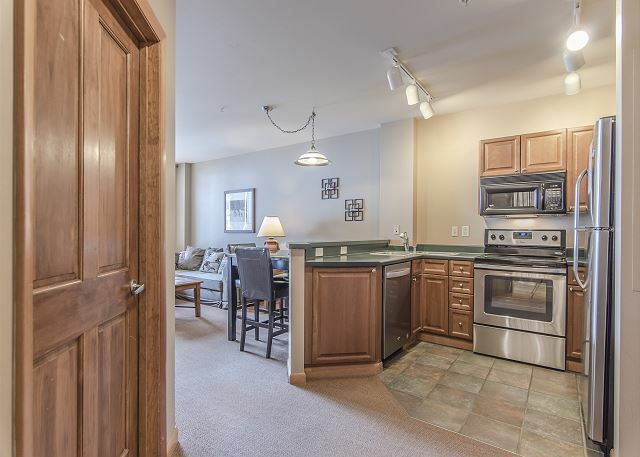 Great condo and great location for our family! Enjoyed being right in the village and the condo was perfect for our family of four. Thank you -- we had a great trip! We had some very minor issues that were taken care of promptly. I plan on calling the managers to thank them for being so hospitable. I will recommend them and plan on returning. We where impressed with the courteous and efficient manner with which Charlotte handled our booking. This is the second year for us at the Zephyr. Charlotte is always fair and honest with pricing and description. Nick is very helpful making sure you have everythng you need during your stay. I will and all ready have sent all of our referrals to Winter Park Management.